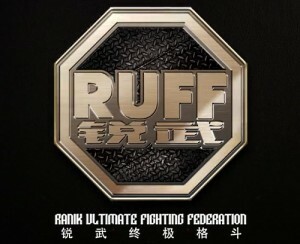 F or the first time in history, the Ranik Ultimate Fighting Federation (RUFF) will broadcast MMA events live, when the RUFF 5 main card airs on September 8 at 7:30 pm, China Standard Time (CST). RUFF officials made the announcement via press release today. RUFF 5 will be broadcast live from Hohhot’s Inner Mongolia Indoor Stadium on both the Jiangsu Sports Channel and Jiangxi 6th Channel, while online content partners QQ (Tencent) and PPTV will air the entire 13-fight card. RUFF 5, as well as the RUFF 5 weigh ins on September 7 at 2:30 pm (CST), will also be available for all China-based mobile users through CN Live. This is great news that MMA in China will be made available to all MMA fans across the world in real time. It’s also a big deal for RUFF as they continue to expand Chinese MMA in a country where MMA is still in its infancy. In addition to live coverage of RUFF 5, fans can also catch all the action from RUFF 4in the coming weeks, as the Hubei Sports Channel, Inner Mongolia Sports Channel, Tianjin Sports Channel Shandong Sports Channel and Xinjiang 10th Channel have all signed on to re-broadcast RUFF events. Stay tuned to ProMMAnow (www.prommanow.com) for all of your RUFF 5 news and coverage.